To investigate whether patients’ skin color could exert an influence on the dentist’s decision-making for treatment, in four different cities in Brazil. Lists of dentists were obtained and the sample selection was performed systematically. Two questionnaires were produced for the same clinical case, but the images were digitally manipulated to obtain a patient with a black and a white skin color. Dentists were free to choose treatment without any restrictions, including the financial aspects. A random sequence (white or black) was generated which was placed at random in sealed, opaque envelopes. Dentists were questioned about the decision on the treatment of a severely decayed tooth and an ill-adapted amalgam restoration. A total of 636 dentists agreed to participate in the study. 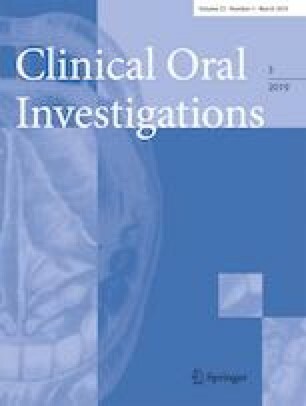 After adjustments (multinomial logistic regression), it was observed that the black patient with a decayed tooth had a 50% lower risk of being referred for prosthetic treatment (p = 0.023) and a 99% higher risk of receiving a composite resin restoration, compared to the white patient (p = 0.027). No differences were observed regarding recommendation for tooth extraction (p = 0.657). In relation to an ill-adapted amalgam, the black patient had less risk of receiving a referral replacement with composite resin (0.09 95%CI [0.01–0.82]) and finishing and polishing (0.11 5%CI [0.01–0.99]) compared with the white patient. Patient skin color influenced the dentist’s choice of treatment. In general, black patients receive referrals for cheaper, simpler procedures. Skin color played an important role in dentists’ treatment decisions. Professionals may contribute unconsciously to the propagation and replication of racial discrimination. The work was supported by the National Council for Scientific and Technological Development (CNPq). The Ethics Committee of the Dental College of the Federal University of Pelotas approved this project (number of 1,422,885).